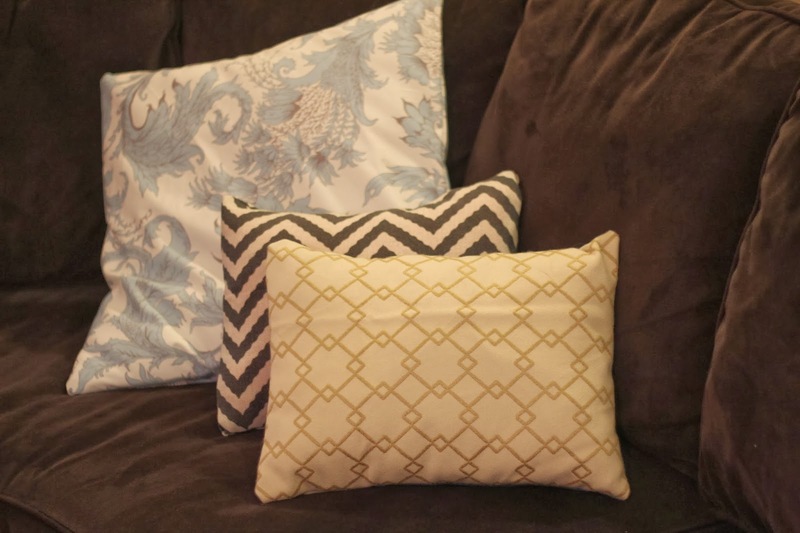 Women on a Mission: Mom Edition: COUCH THROW PILLOW UPGRADE! 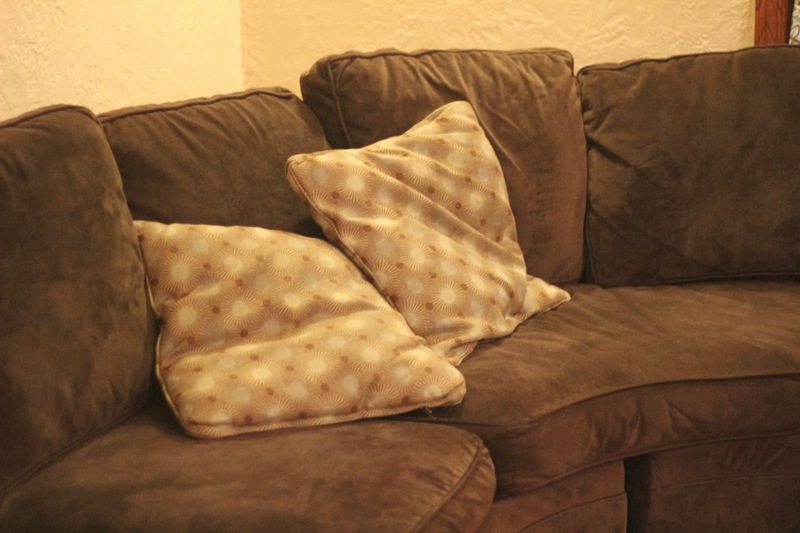 This is the before of my living room couch: totally boring, totally blah, totally brown, and totally not doing it for me! I wanted to spend little to NO MONEY on this project. 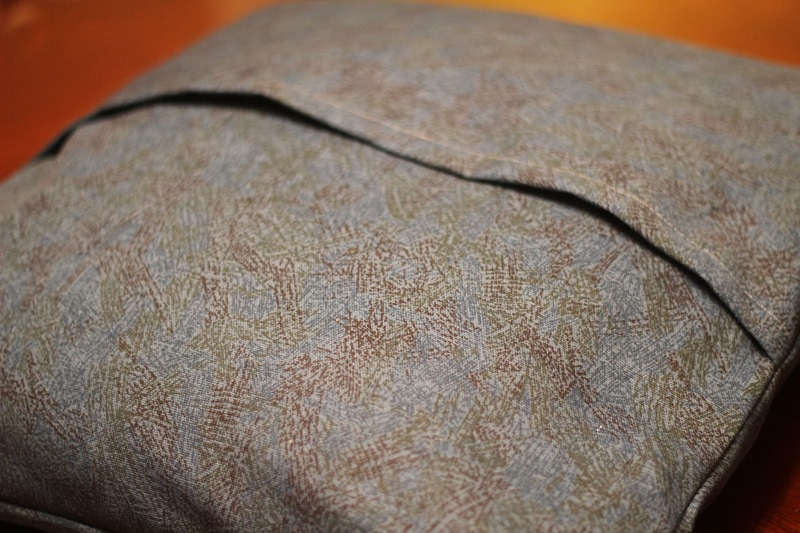 First up, I decided to create an enveloped back pillow cover. It is super easy to do. 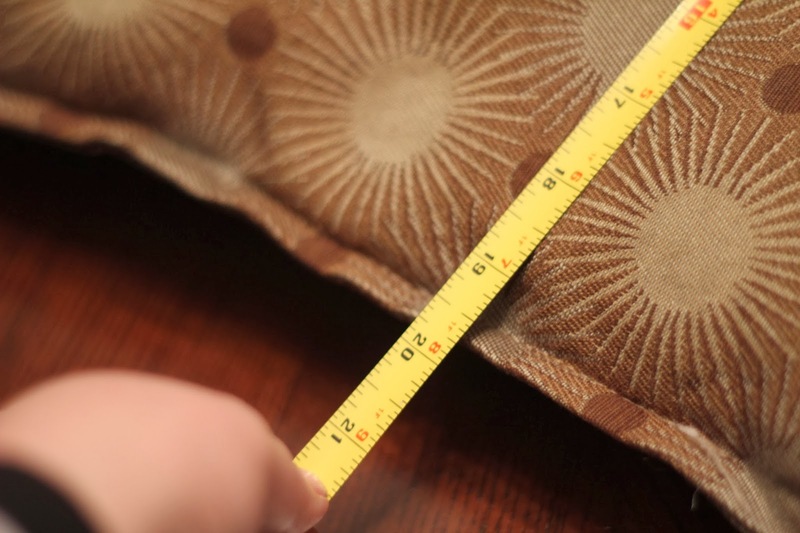 First up, I measured the size of the pillow and added one inch. I then cut the front side of the pillow fabric 21 inches (it was a square, so equal sizes) (or the size of the pillow plus 1 inch). Next up, I cut the other two pieces for the backside of the pillow, so they would overlap fairly significantly (keeping the pieces 21 inches wide). 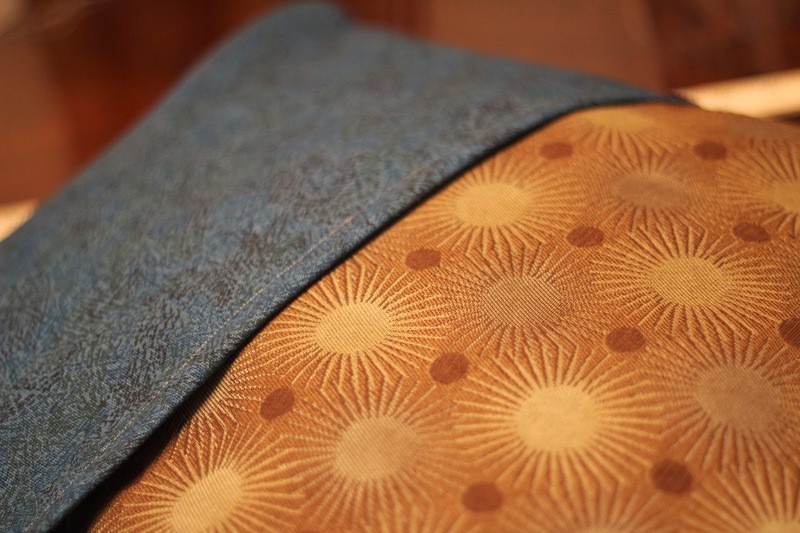 Fold down the edge of the two pieces of fabric (where they would overlap and sew). Do this for both pieces. 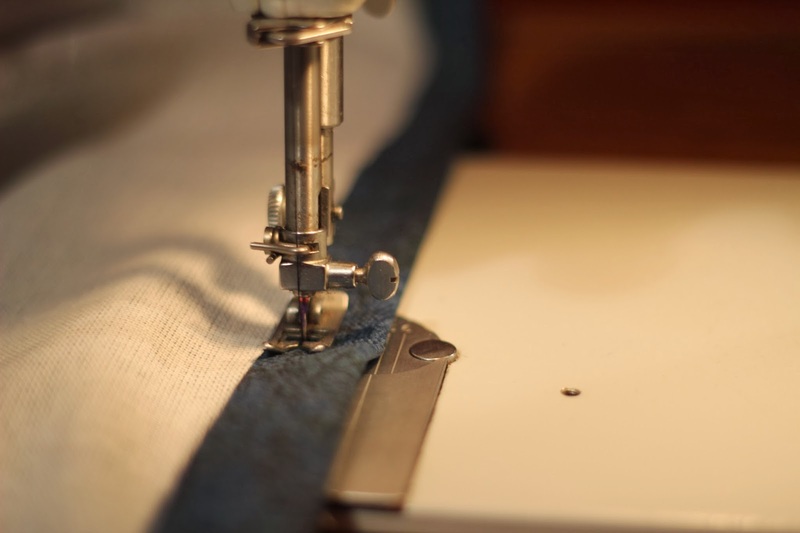 You are now ready to sew your pillow cover. 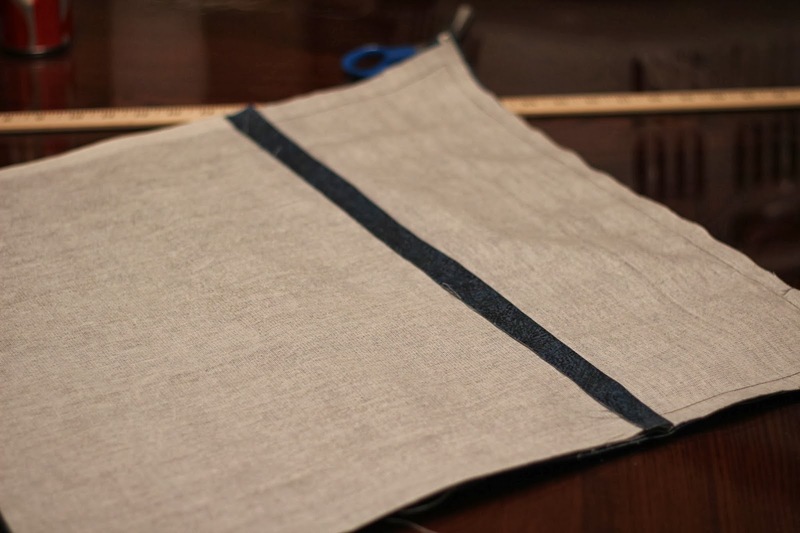 Lay your fabric right sides together with the wider fabric piece on top. Be sure to place the finished edges in the middle. These edges will remain open. Sew together all four sides. 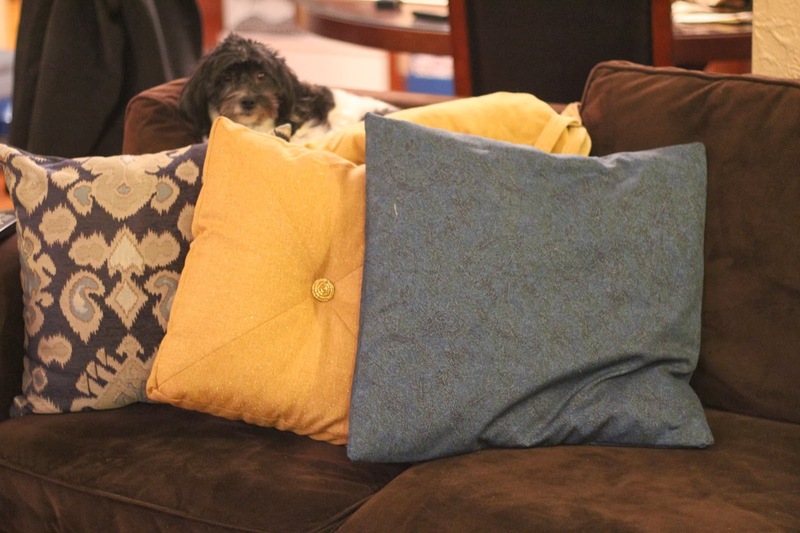 You have now created an enveloped back pillow cover. This requires no zipper and no button. I crashed my fabric stash and also covered other pillows I already had. 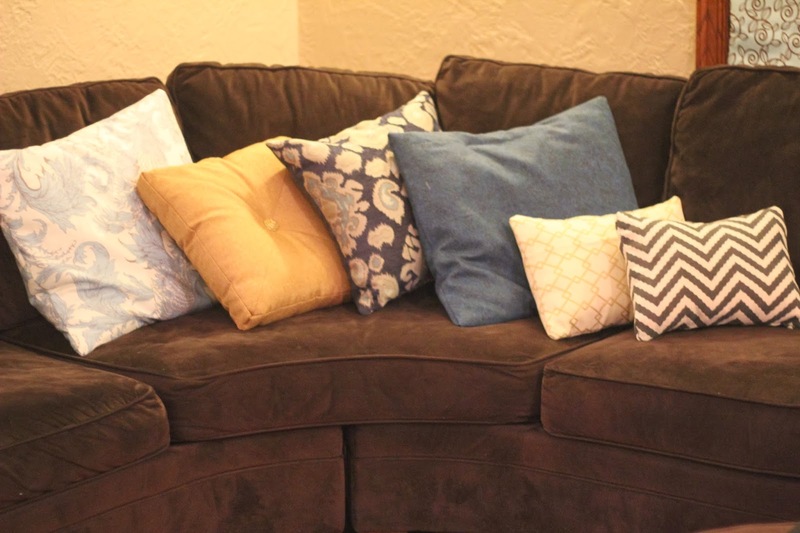 In addition, I did purchase two additional throw pillows for under $9.00 each. 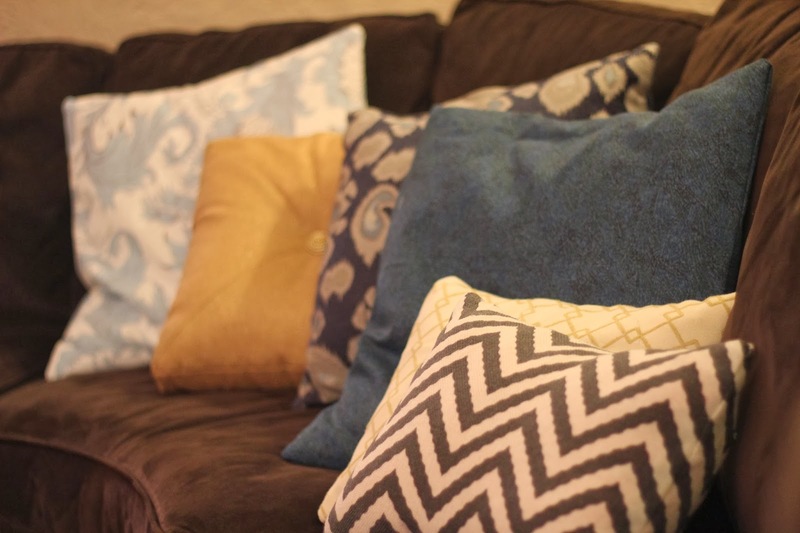 I am loving the look of the new pillows and am planning for some other low-cost living room decor updates (preferably with color)! Roger also got in on the action!